1. 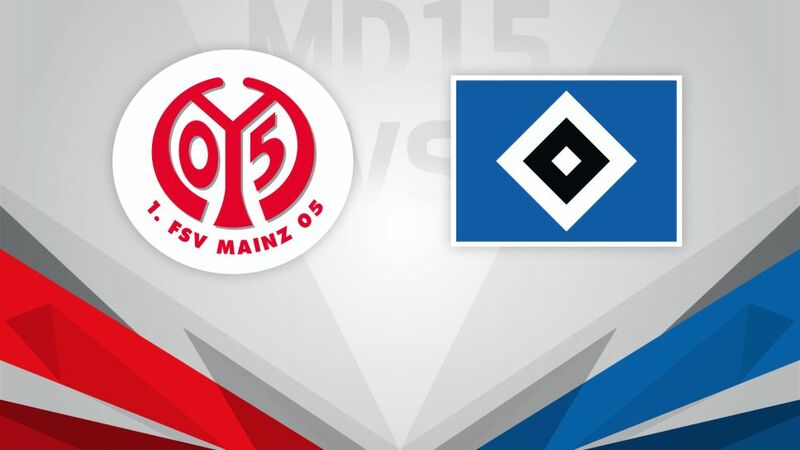 FSV Mainz 05 will be keen to bring an end to a three-game losing streak when they host resurgent Hamburger SV on Saturday (kick-off 15:30CET/14:30GMT). Martin Schmidt's men have undone all their good early-season work with losses to Hertha Berlin, defending champions FC Bayern München and Borussia Mönchengladbach, but all is not yet lost if they can snap that streak against HSV. The 05ers sit comfortably in mid table for now, albeit only six points behind seventh-placed 1. FC Köln. Hamburg's own season, meanwhile, is slowly starting to gather pace. After notching their first win of the season against SV Darmstadt 98, they went and did it again by beating FC Augsburg on Matchday 14, giving them sufficient confidence for their trip to Mainz. Depending on results elsewhere, the Red Shorts could move out of the bottom three with at least a draw on Matchday 15.